Mike prides himself in providing a very honest and committed approach towards assisting his clients in achieving their real estate requirements. He is approachable, and has the ability to work with all sectors of the community providing professional expertise, experience and skill. With a warm, caring personality and absolute integrity he has helped many families and individuals, delivering results expected of a real estate professional. Mike has been a Tawa resident for over 50 years and was educated at Linden School and Tawa College. Married to Fiona, and with three children he is very much a family person, which complements his personal contacts and associations within the community. Prior to commencing his career in real estate in 1988 he was involved in corporate business, and sales/marketing, in both the primary industry, and the manufacturing industry, whereby he developed strong marketing and negotiating skills which have proven invaluable in dealing with his real estate clientele. Because Mike's aim is to provide top quality professional service to all his clients he has also made a significant commitment to further education within the real estate industry. In 1995 he completed studies allowing him Branch Manager status, and in 1996 after further study and examinations he fully qualified as an "Associate of the Real Estate Institute (AREINZ)". He is one of only a few local real estate professionals who can offer both; years of practical experience and qualified knowledge. You can be assured that when working with Mike you will receive the very best service from a highly motivated and determined salesperson experienced within the industry and with an extensive local knowledge. Coming from a background in retail banking and marketing, I have been involved in the real estate industry for 20 years and find the challenges of marketing and successfully concluding sales for clients really satisfying. The family based community in which I reside and work suits my nature and personal circumstances. My wife Jan and I have been married for 26 years, and we have three children. I am actively involved in the local squash club, as well as being a serious rugby spectator during the winter, while in the summer I play touch rugby and fit in a spot of fishing where I can. If you would like me to put my skills to work for you, don't hesitate to contact me. Debbie speaks four main Asian languages. She is approachable, and has the ability to work with all sectors of the community providing professional expertise, experience and skill. With a warm, caring personality and absolute integrity she has helped many of her clients delivering results expected of a real estate professional. Prior to commencing her career in real estate, she was involved as a high level business manager for a Malaysian Bank, where she was responsible for overseeing the business operations of bank branches, involved in project management of major changes within the systems and business processes of the bank. She brings her high level of work ethics, commitment, professionalism and business management skills to her career in Real Estate. She chose real estate as she finds it a very challenging and fun filled career. One of the most rewarding aspects of this career for Debbie is being able to reduce the stress her clients experience with real estate transactions. You can be assured that when working with Debbie you will receive the very best service from a highly motivated and determined salesperson experienced within the industry and with an extensive local knowledge. Dianne started her Real Estate selling career in late 2005 and has listed and sold many houses in Tawa since then. She enjoys working with people and helping them to achieve their real estate goals. She comes from a background in teaching, most recently at Tawa College, and banking. When her children were younger she had an administrative role with the Harcourts Team and since that time, a sales position was her goal. Dianne has been a Tawa resident for 24 years and enjoys the family community in which she has been actively involved. She served three years as Treasurer of the Tawa Plunket Committee and then six years on the Board of Trustees and Parent Liaison Group at Redwood School. Dianne’s husband Robert also takes a keen interest in local issues. He is in his seventh term on the Tawa Community Board and is a Rotarian. In her leisure time Dianne likes to spend time with her family (she has two sons), is a keen walker and enjoys playing Bridge. Dianne is committed to providing professional service with a friendly and enthusiastic manner. 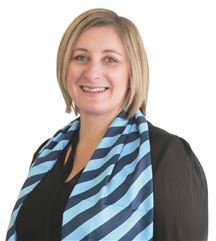 Lauren started her Real Estate career at the end of 2000, initially working for Harcourts out of both the Paremata and Whitby offices covering the Porirua to Pukerua Bay area. When the opportunity arose to join the Tawa team in May 2005 she leapt at the chance. Living in Tawa it seemed it was the ideal scenario - to be working close to home within the close knit team and promoting the advantages of living in the area. Prior to starting in Real Estate Lauren’s background was mainly in accounts although she spent a short time in new vehicle sales for a local Ford dealership. Outside of work she has spent many years involved in the equestrian fraternity competing her own horses in both eventing and show jumping as well as being involved with teaching, examining and judging at local pony clubs. Though work and time constraints now no longer allow the time to pursue this hobby competitively she does still enjoy heading out for a ride with friends when the opportunity arises. Whilst never professing to be a golfer she also enjoys heading out to play a few holes of golf & is a member of Judgeford Golf Club. Lauren is passionate about her job & is committed to providing you with outstanding service, feedback, support and advice throughout the selling process. She looks forward to working with you. Angela joined the team in 2018. She was a resident of Tawa for nine years, and having been a home owner and a tenant in the past, she understands the importance of careful management of your investments. With her previous business management experience, Angela has extensive background in customer service and quality assurance. She is passionate in providing the best possible service to both landlords and tenants and enjoys working with a diverse range of people. John has been in the residential property management industry since 1987 during this extensive time frame he has developed the expertise, knowledge and skills to provide his clients with the feeling they are leaving their most pride possession in good hands. Priced & Ready To Go! Not Into DIY? Buy New! Brand New, Super Easy Living! Greenacres "The Place To Be"
Be Quick - Be Very Quick! Modern, Warm, Sunny - WOW! You'll Have A Lot Of Fun Here! Sunny & Solid Home That Lasts!